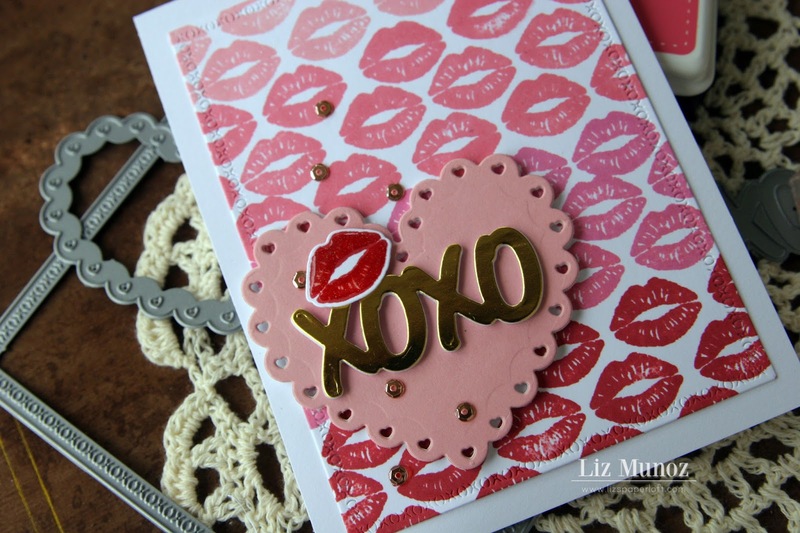 Liz's Paper Loft: MCT January Release Blog Hop ~ xoxo! Howdy, welcome to My Creative Time's January Release Blog Hop! I hope you got a chance to see the sneak peeks the last few days. This may be a small release but it's a fun one with dies that can be used year round. Don't let the "hearts" fool you! 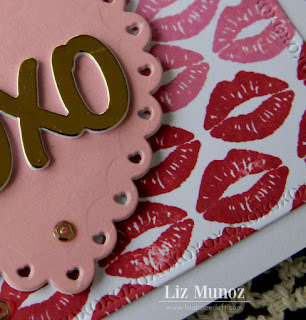 I get to share with you the XOXO Border Dies again. I LOOOVE these dies, and even though they have an embossed "xoxo" border, I plan on using them throughout the year. For the background panel I stamped the "lip" in a pattern with several colors of red and pinks. I cut the panel with the largest rectangle die in the set. I used fun foam behind the scalloped heart and cut several "xoxo" to give it more umph! ALSO, DON'T FORGET our sale starts RIGHT NOW here:http://shop.my-creative-time.com/Ne...! Use the code: JAN2018 to receive a discount off your entire purchase! This sale applies to "IN-STOCK" items ONLY. This sale will end on Friday, Jan 27, 2018 @midnight PST. CUTE!! Love all the stamped lips!! Awesome card, love the stamped background paper! So fun! I think your lip background is such a clever idea and so pretty stamped dark to light as you did...awesome idea! Beautiful job on your card! OMG Miss Liz WOW What a Gorgeous Card!! 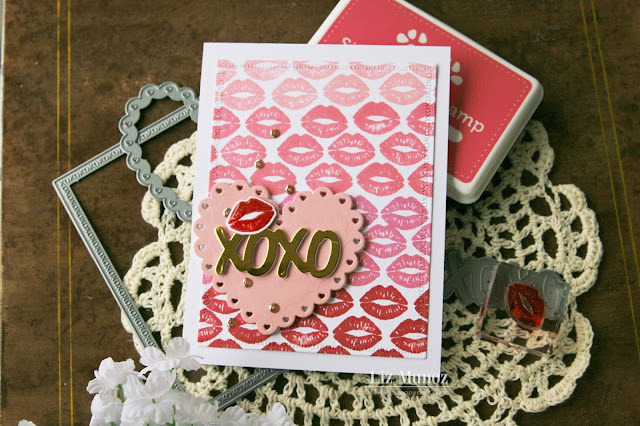 You so did one Spectacular Stamping Job....those lips are Sultry and make for a Magnificent look which so showcases the XOXO Frame and the beautiful Heart!! Your ideas are brilliant and ingenious!! You so did a Super Outstanding Creative job!! YOU so ROCK!! So cute and fun with all of the lips. Fun card! Love how you designed the background for it stamping too! That ombre lip background is to die for!! Love!! Wow, I thought that you bought that paper at first. It's perfect! LOVE this card!!! So Valentine "love"...thanks for sharing this. Gorgeous work, that background is awesome! What a gorgeous card!!! Love the background! Awesome LIP background! Super CUTE!